The proposal comes in the wake of the Ports Minister Arjuna Ranatunga campaigning against the existing agreement on the port. COLOMBO: The Sri Lankan government proposes to cut China’s stake in the Hambantota port from 80 per cent to 60 per cent, the Daily Mirror reported on Saturday. Well placed sources told this correspondent that the watering down has been made upon the insistence of the Ports Minister Arjuna Ranatunga, who has been campaigning against the Framework Agreement which gives the China Merchants Holding Company, 80 percent stake and a 99 year lease for an investment of US$ 1.1 billion. Ranatunga has also been campaigning for a fuller control over the security of the port. A cabinet paper on the revised draft agreement is expected to be presented next Tuesday for discussion and approval, the sources said. 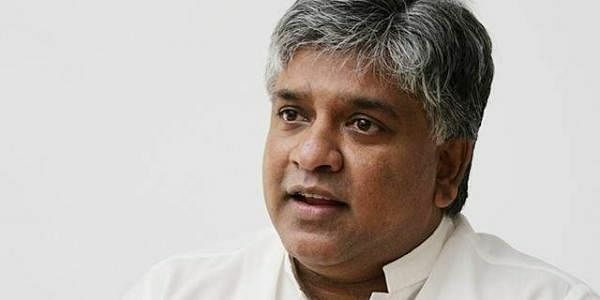 Like the Joint Opposition (JO) led by former President Mahinda Rajapaksa, Minister Ranatunga believes that the country’s strategic assets must remain in the hands of the Sri Lankan government. But unlike the JO, he does not insist on majority shareholding. He feels that cash strapped Sri Lankan needs foreign investment urgently. One of the leaders of the JO, Vasudeva Nanayakkara, told this correspondent that even 60-40 will not be acceptable to him.The country should have a majority stake to acquire proprietorship over a critical national asset ,he said. Nanayakkara and economist Dr.Lalithasiri Gunaruwan had filed cases in the Supreme Court challenging the way the government had allegedly bartered away Sri Lanka’s rights without following due processes. The two cases are to come for hearing on April 7. Nanayakkara is also opposed to the stipulation in the Framework Agreement that 15,000 acres of land will be given to the Chinese-run port for the development of a Chinese-administered Economic Zone. The question of who would have control over the security of the port was also decided in favor of the Chinese. But there was all round opposition to all of these. President Maithripala Sirisena took steps to influence any further negotiations in this matter. Many Sri Lankans, including the Chamber of Young Lankan Entrepreneurs, said that the US$ 1.1 billion that the Sri Lankan government would get as Chinese investment in the form of an 80 per cent shareholding in the port could be easily generated locally by marshalling resources and cutting down on inessential and extravagant government spending. But the Chinese were not ready to accept a dilution of their stake. It is not clear if the current proposal to cut their share to 60 per cent has been made with their prior approval. Some Sri Lankans think that China will give in because it urgently needs to make Hambantota port a part of its One Belt One Road (OBOR) global project. The port is also the best in the South Asia with a depth of 17 meters, and China needs a deep water port in this part of the Indian Ocean. But others think that they will resist because Sri Lanka is indebted to China to the tune of US$ 8 billion. It is in this context that the visit of the Chinese Defense Minister, Gen.Chang Wanquan, to Sri Lanka from March19 to 21, is significant. His 20-member delegation, which includes the Secretary General of the State Council, will discuss with Sri Lankan leaders, both defense and economic matters. Hambantota port will certainly be high on its agenda.